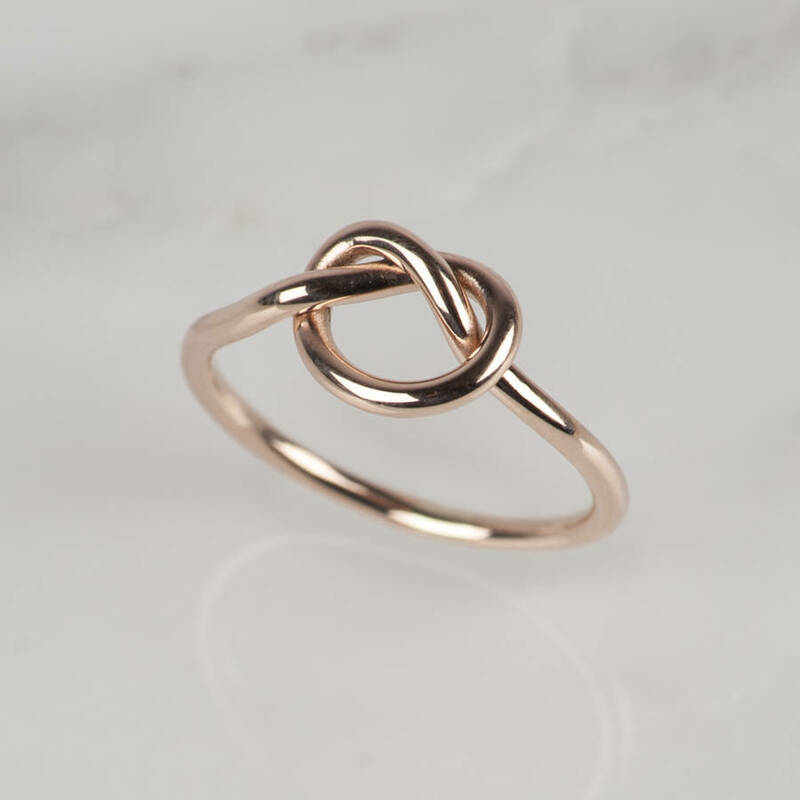 This is a pretty, delicate Love Knot ring made in solid 9ct rose gold. 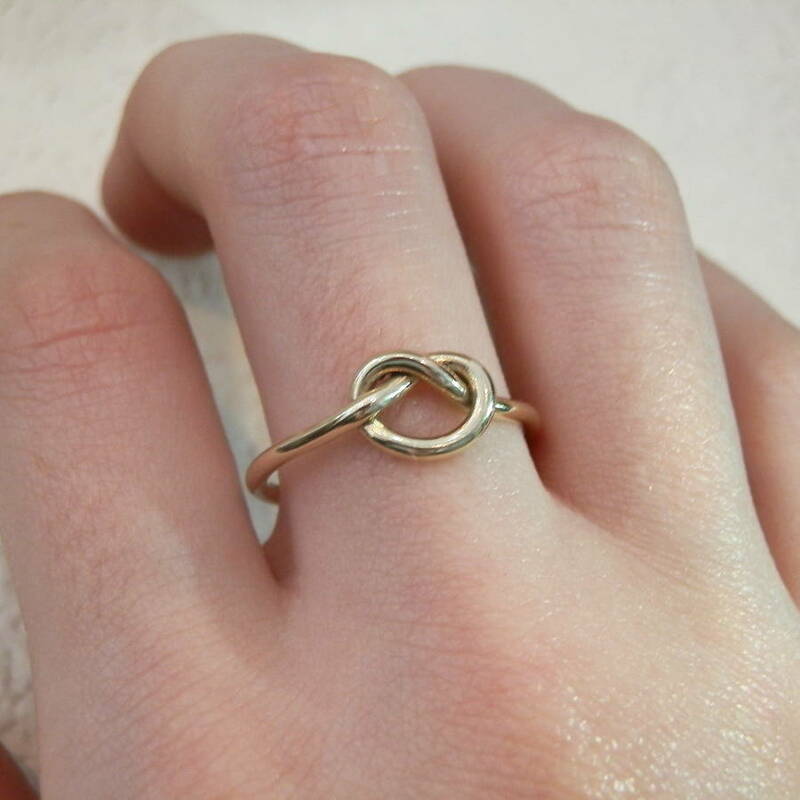 It has a romantic neverending lovers knot design. 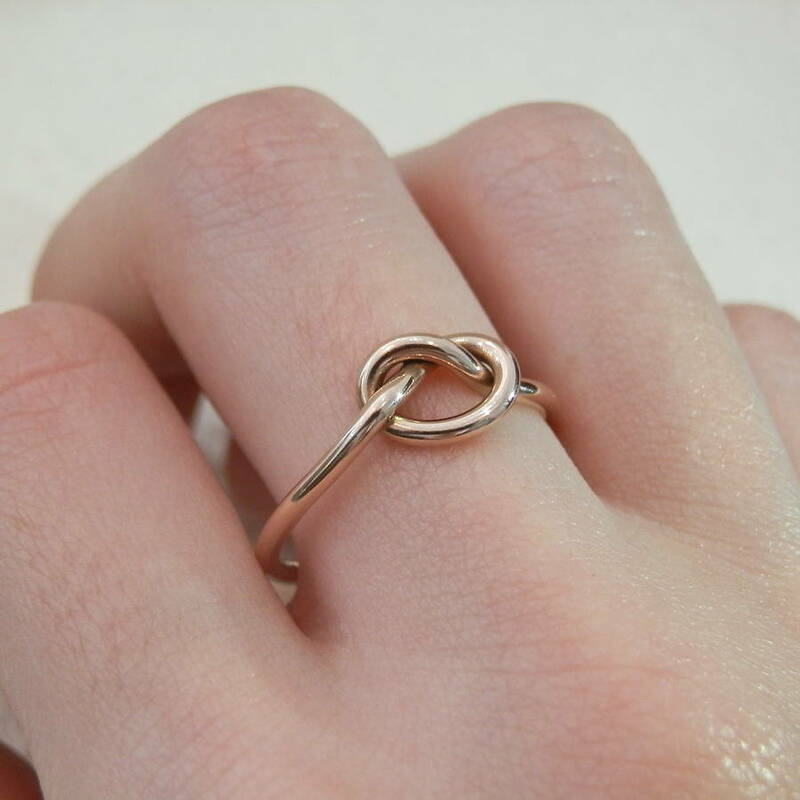 This would make an ideal gift for someone who loves pretty girly jewellery. 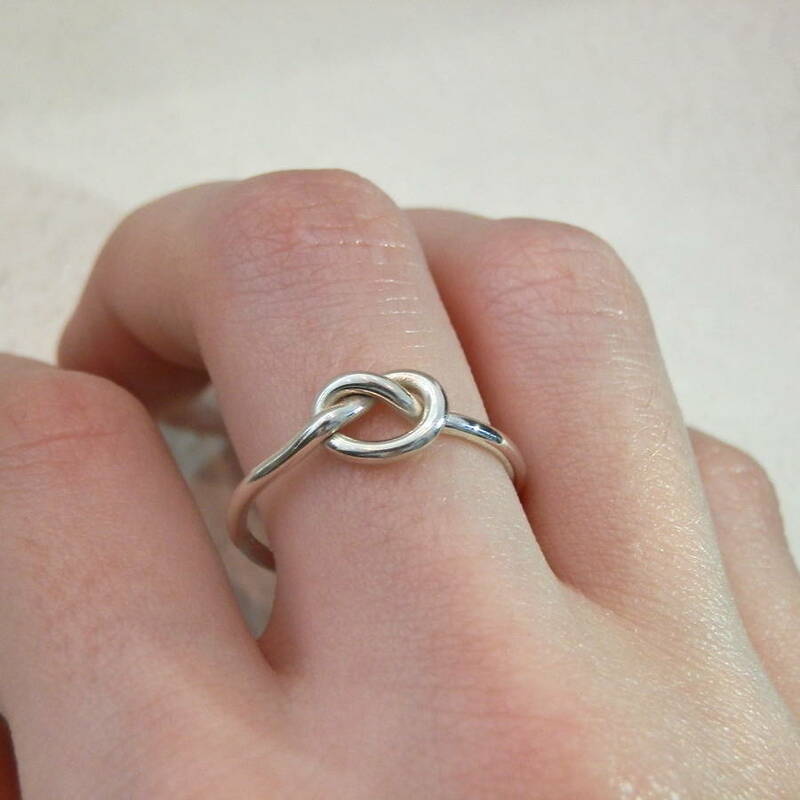 A lovely promise ring gift for those wanting to propose but want to choose the forever engagement ring together. 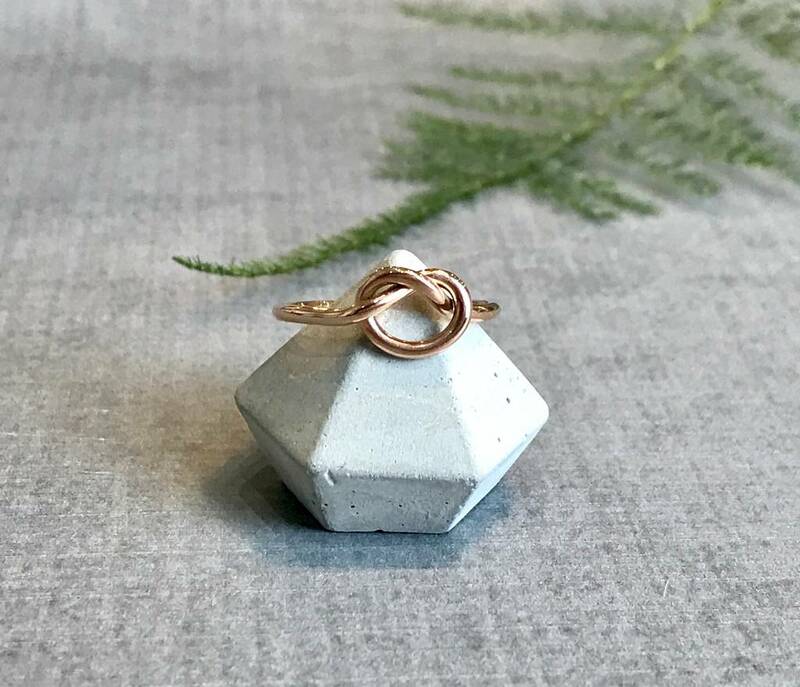 A perfect gift for Valentine's Day, 21st and 18ct Birthdays, Anniversaries, Christmas time, or just to show your loved one how much they mean to you. Please make sure you have the correct size when ordering as later adjustments will incur a resizing fee. 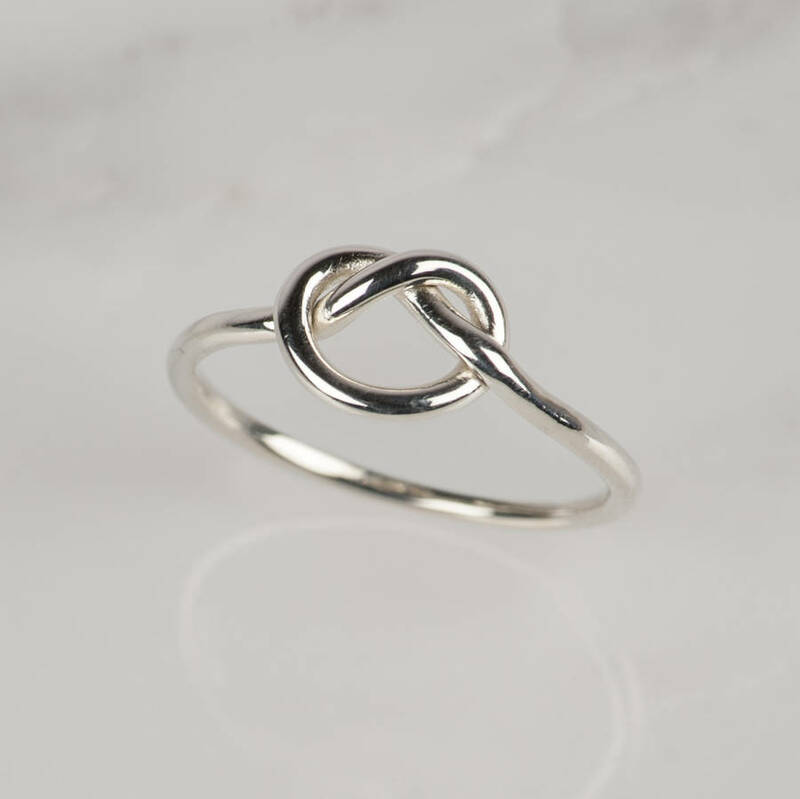 Also available in yellow and white gold and palladium and set with diamonds. Matching earrings also available. This ring is made from 9ct rose gold. 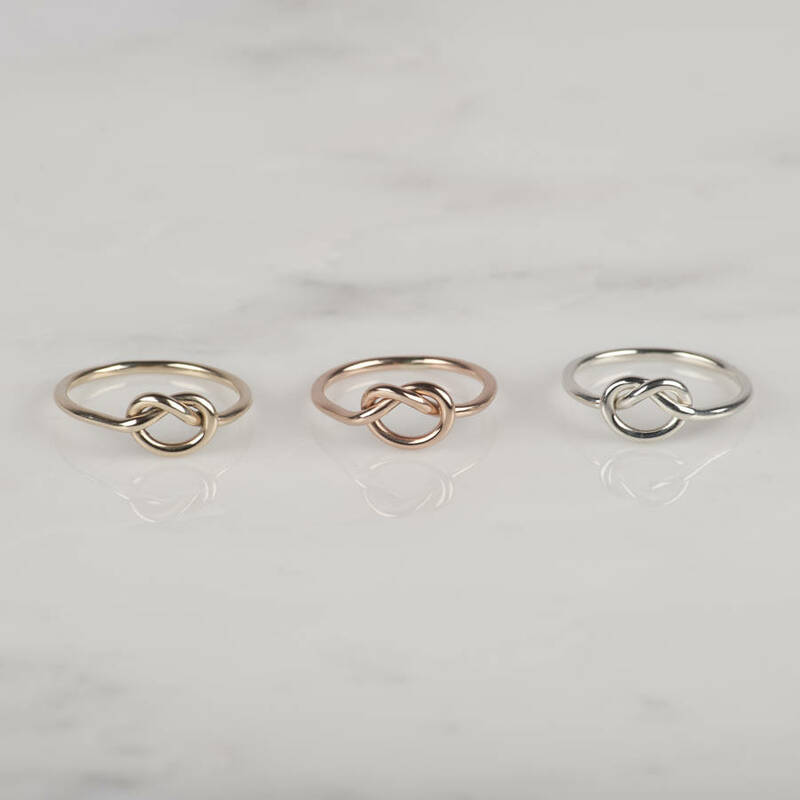 The knot rings are handmade so variations in the size and shape of knot makes each ring individual. 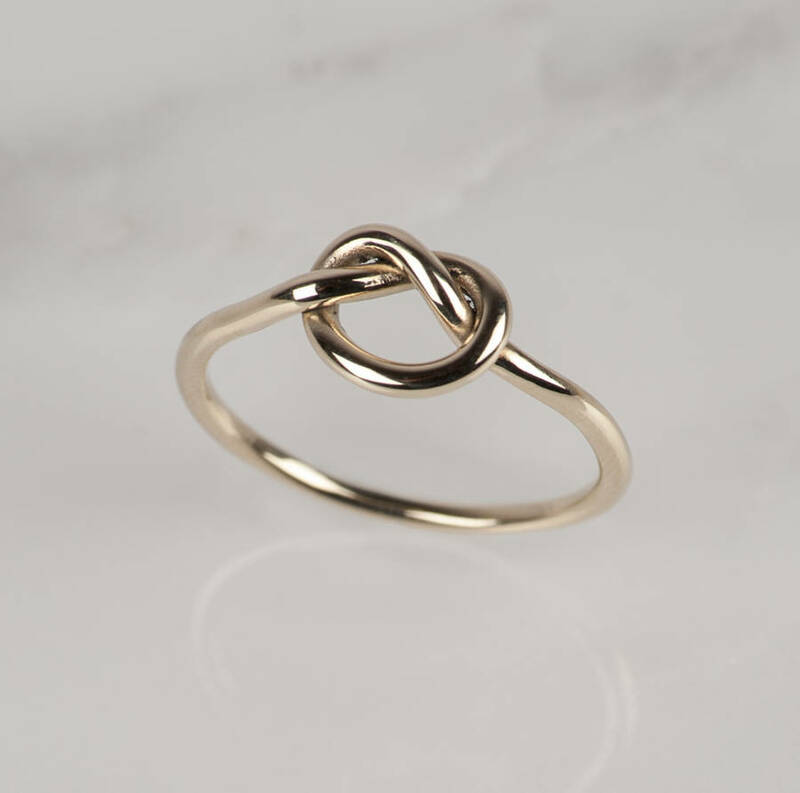 The knot is in general approximately 0.9cm x 0.5cm and the ring wire measures 0.15cm.